What is the true cost of moving home? The process can be expensive and sometimes uncertain. Many people in the UK are surprised to find that not only is the homebuying process fraught with unforeseen worries, the actual fees inherent in property purchases are much higher than they ever expected. This is why it is important to understand the costs in advance by speaking to professionals and knowing what to expect. Inexperienced homebuyers do not always take into account a variety of fees that will at some point arise before they’re through the door. The purchase of a property includes fees such as stamp duty, valuation fees, surveyors fees, legal fees, estate agents fees, removal costs, mortgage arrangement fees and some of the ongoing regular payments involved in home ownership. In some circumstances, fees could add up to £8,000. If this comes as a surprise at an advanced point of the process, you might be left struggling to fund your move. When making a life changing purchase such as a new home, it is really important to make highly informed decisions, especially with regards to which legal service provider you choose. You will need to choose a solicitor or conveyancer as soon as your offer has been agreed, as they will oversee the legal process involved in transferring the ownership of the property you are buying into your name. But how do you find the right solicitor or conveyancer? Thanks to recent changes of regulations, you must be provided with clear pricing details, and transparent financial information being provided from the outset. In December 2018, new transparency laws came into force. These laws were imposed by the Solicitors Regulation Authority (SRA) and Council for Licensed Conveyancers, which made it mandatory for all law firms to provide a breakdown of the costs associated with their service with VAT, before the service has been agreed. When it comes to finding a solicitor who is best suited to your individual needs, there are a number of factors you must consider. It is often tempting to go with the solicitors attached to your local estate agent due to persuasion, convenience and locality. Estate agents will often recommend a local solicitor or conveyancer because they get a sizeable commission that can add several hundred pounds to your bill. The risk is that they recommend the person that pays the highest commission rather than the one that offers the best service to you. Or you might know of a firm whom your family have used ‘for years’ and veer towards them by default. This would be going in blind as you have no other levels of service with which to compare them. However, by doing this you could be doing yourself a huge disservice and losing money into the bargain. You might not know this, but you can choose any solicitor to carry out your conveyancing, based anywhere in the UK. It is an entirely independent choice and should not be influenced by others who may benefit from your selection. What follows are a few considerations you may want to take on board when making this choice. The conveyancing process involves a lot of paperwork which needs meticulous attention at every stage. If a conveyancer is not up to speed and efficient in their communication methods, they can cause considerable delays which can hold up the process for everyone. Modern conveyancing practices sometimes operate an online tracking facility, allowing you to access up to date information on your transactions, available at all times. When it comes to communication, some solicitors and conveyancers can be difficult to get hold of. This makes it hard to track your case or to get any queries answered. This can be prevalent with solicitors who undertake other work outside of conveyancing meaning they may be in Court or in and out of the office, hindering client communication. Double check all quotes, especially cheap quotes. Make sure they aren’t omitting any hidden costs. Ensure you are fully aware of what the final bill will be. Avoid solicitors/conveyancers who charge an hourly rate, and be wary of any quote that does not fully itemise all charges. With modern day technology being endemic in many important life choices these days, it is possible to source and compare most services online and conveyancing is no exception. The best way to find the right conveyancer or solicitor for your property purchase, is to make sure you shop around and compare conveyancing quotes. This is very important and will help you find the best rated or nearest conveyancer in minutes, depending on your criteria. You can find information regarding the reputation of the conveyancers or solicitors you come across on your search. And remember, it is important to choose based on more than just their fees. The idea is to get a premium service as well as good value which means taking several things into consideration. Cheap legal fees can mean additional costs might be found hiding in the small print. Some firms may present a lower “legal fee” and list other fees separately. Others may bundle all of these into a single, larger fee on their quote. Some firms obscure the difference between fees and disbursements so you need to compare what each firm includes. “Cheaper” search packs offered by one solicitor may not include the same searches as that offered by another. How much do you charge? Ask about disbursements and stamp duty. 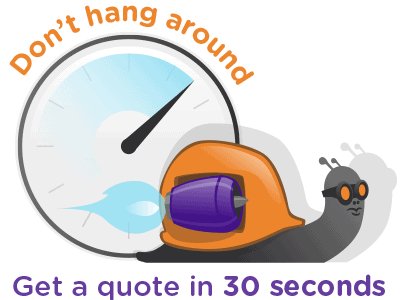 Ask for an itemised quote so you can see what the conveyancer’s time is spent on and costs. Who exactly is dealing with my case? Find out so you know who to contact and who knows the ins and outs of your case. Are you a member of the Law Society and the Council of Licensed Conveyancers? They should be. What do I pay if the sale falls through? Is it no sale, no fee? It’s common for disbursements to be excluded from most ‘no sale no fee’ quotes. Are you on the “Lender Panel”? Many mortgage lenders will only work with solicitors that are on their approved panel. You can still use a firm that isn’t approved, but may have to pay extra and the costs can pile up. When do I pay you? You might have to pay when you exchange, or on completion. You might be asked for a deposit at the start, and you may have to pay disbursements as they come up. It varies between firms. Do you have a disputes procedure? Hope for the best but prepare for the worst. Knowing how a firm handles disputes is important. There should be set procedures in place for all eventualities.